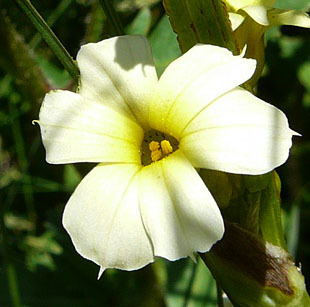 The garden plant is grown throughout the country. 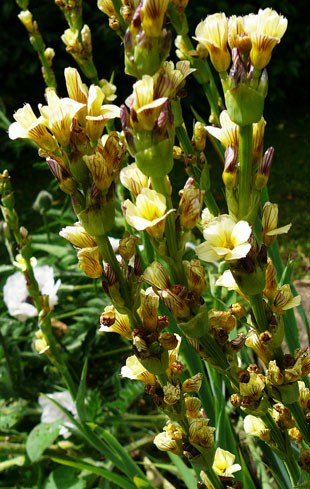 It is a neophyte, introduced from South America in the 1780s. 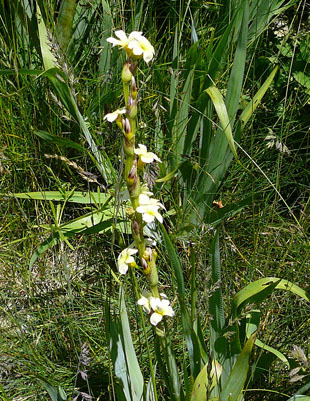 clump-forming herb, growing up to 75cm. and are up to 2cm across. There are 6 petals, each with a short terminal point. There are 3 yellow stamens. 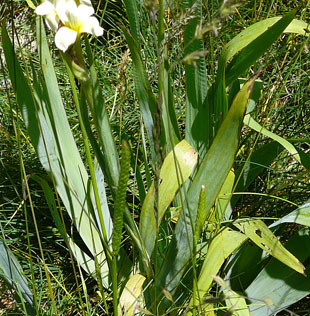 The leaves are broad-bladed and Iris-like.